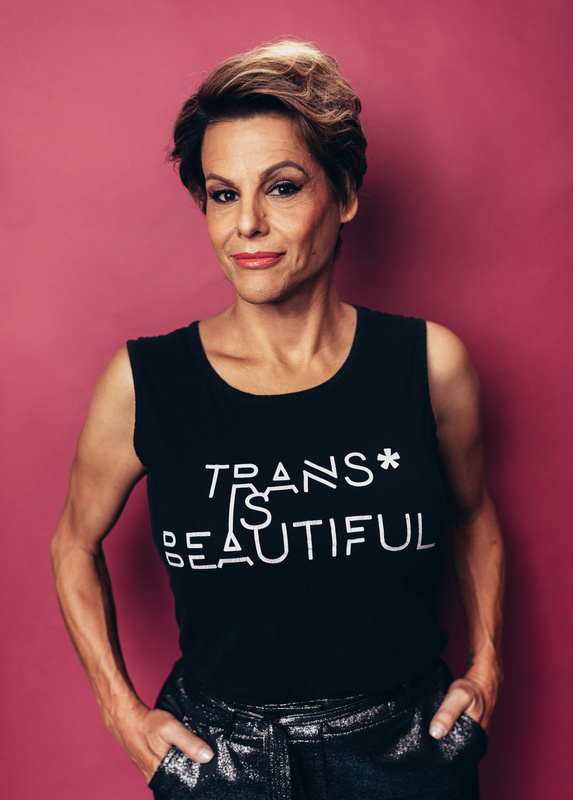 As the stories of transgender life have stepped out of the shadows in recent years, the formidable talents of Alexandra Billings have demanded a brighter spotlight. As the 56-year-old favorite from TV’s Transparent wraps up her Broadway debut run in The Nap on November 11, we sat down with her to learn about the dark childhood lows (multiple suicide attempts, struggles with drugs and alcohol) and fabulous highs (show people friends! drag trophies!!) that made her the inspiring star standing before you today. When her parents split, Billings moved to the Chicago suburb of Schaumburg, IL, where she struggled as a teen. “I really didn’t identify as anything,” she says. “I knew that I wasn’t a gay man because I knew I wasn’t male. I really thought I was losing my mind, and I was doing what I assumed were shameful things—dressing up in private. I thought I was just too much trouble for my family, so suicide was the best option for everyone.” Billings says she survived multiple suicide attempts, and was rescued by an episode of The Phil Donahue Show. “I was about 16 years old and I was sitting on the edge of my bed with a handful of pills. And the TV was on and Phil Donohue had on these three guests. And they were beautiful, sparkly and shiny… Funny and smart and gregarious and filled with joy. And I said out loud, “Oh, there I am.” Chilli Pepper, Sheri Payne and Leslie Reginae were trans performers at The Baton Show Lounge, an iconic drag club in Chicago. Billings wound up working with all three years later under the stage name of Shante. Shante became a mainstay on the Chicago drag scene—and elsewhere. “I loved working at The Baton,” she says. “I worked a place called Club Victoria, which is now a Gap. And I worked at La Cage on Oak Street. And I entered a lot of drag pageants. I won Miss Illinois, Miss New York, Miss Wisconsin, Miss… Poughkeepsie. I don’t know—there were so many. But the big kahuna was Miss Continental, and I never won that. I got first runner-up three times in a row, and I was like, “I need to be done. I need to go.” Billings found herself on the legit stage when Chilli Pepper handed her the script to Charles Busch’s satire Vampire Lesbians of Sodom—“I got the role and I never went back.” Chicago diva turns in iconic parts like Mama Rose in Gypsy, Margo Channing in Applause and Cruella DeVille in 101 Dalmations followed, as well as countless solo shows and cabaret performances around the country.